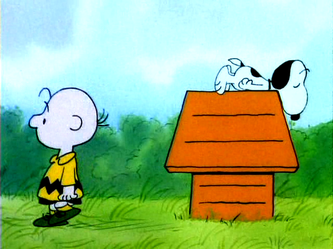 CBSS Page 6 - Snoopy And The Gang! 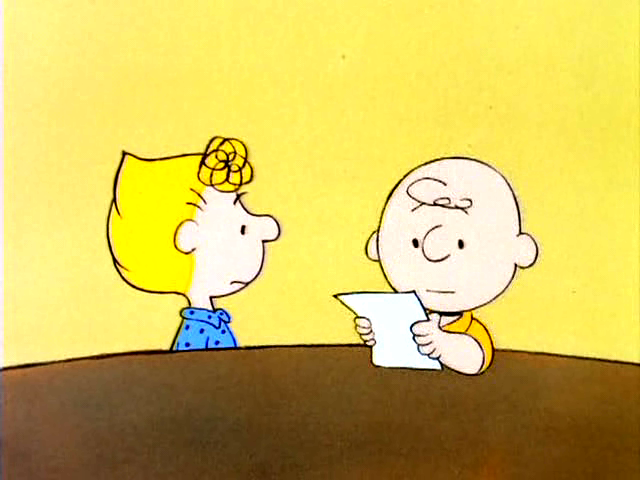 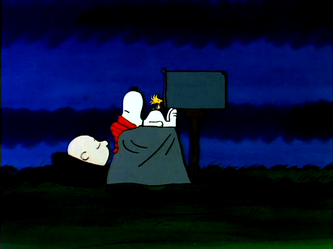 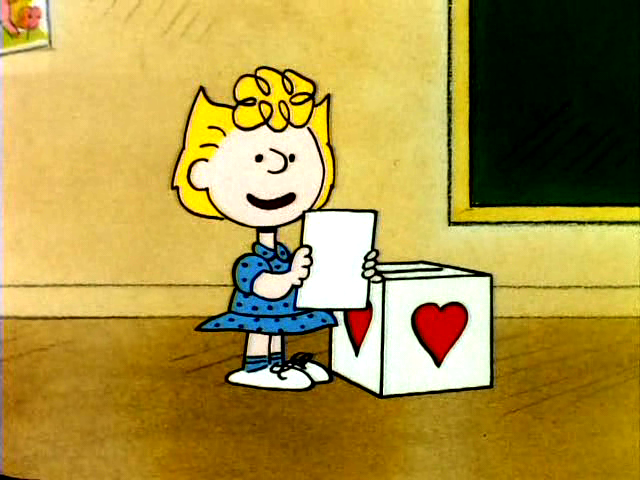 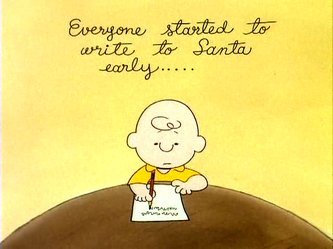 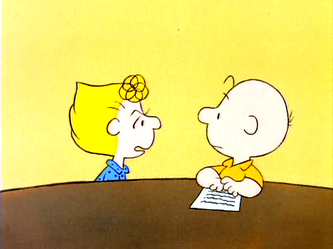 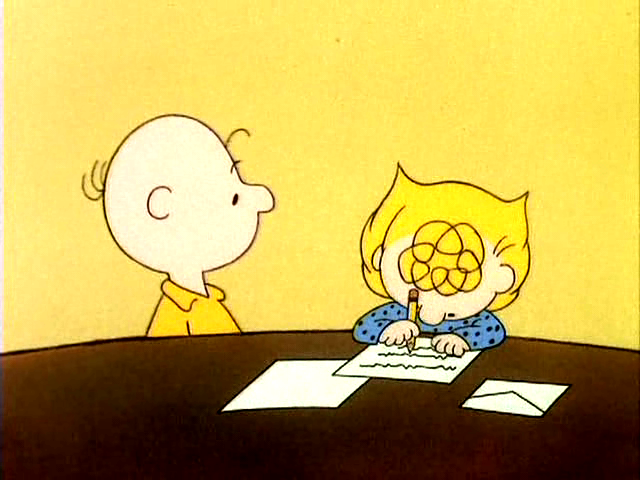 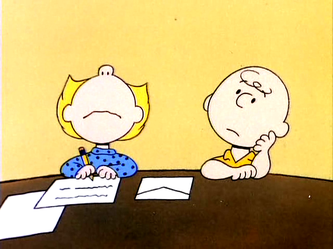 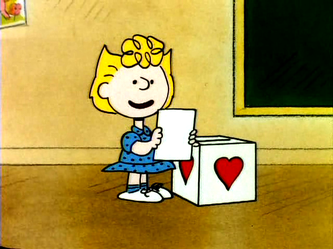 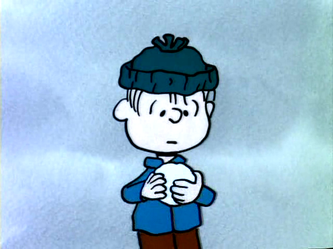 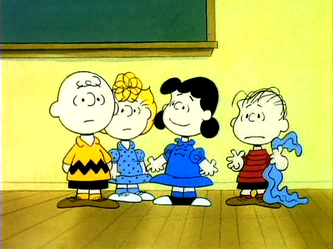 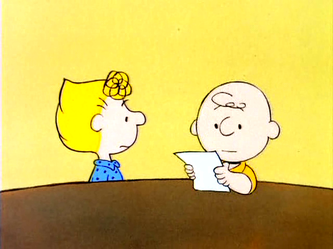 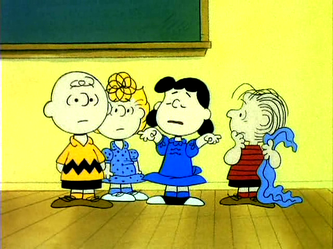 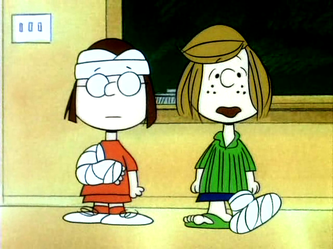 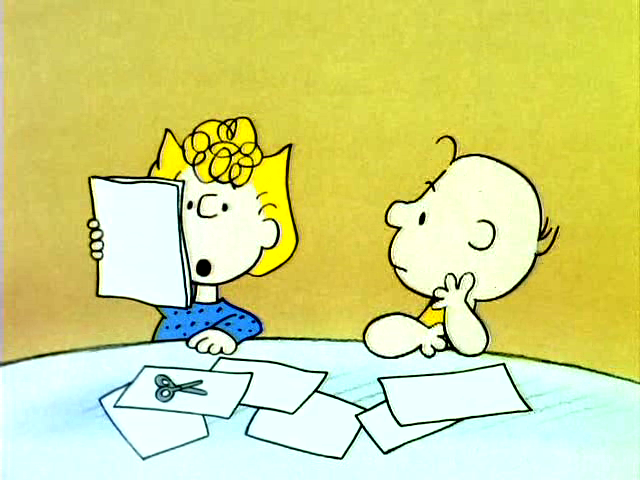 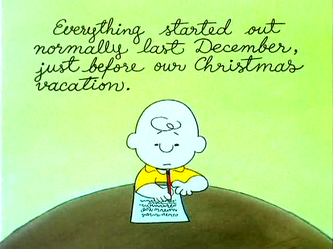 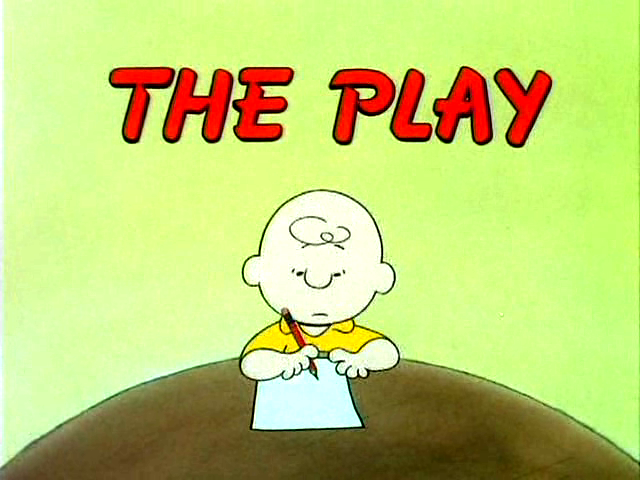 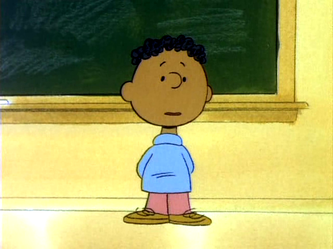 The Play - Charlie Brown is writing an essay about a Christmas play that they ended up taking part in. 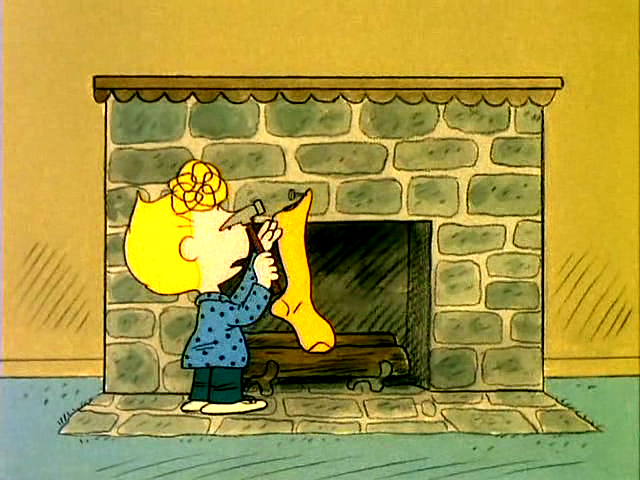 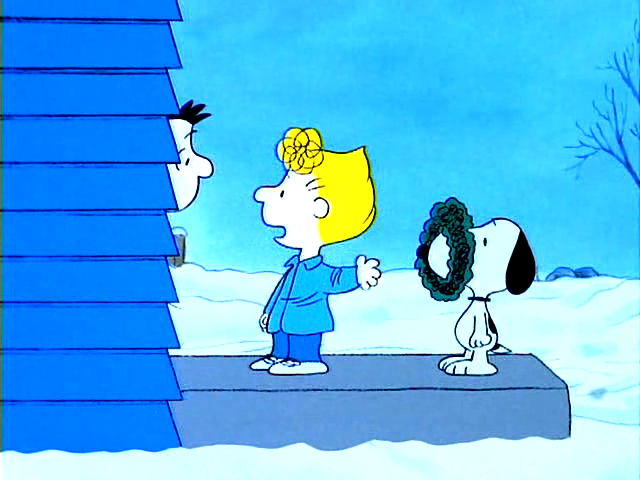 Before this happened, Sally informed Linus she didn't want anything for Christmas, so he sarcastically cancels an order for a necklace he had placed. 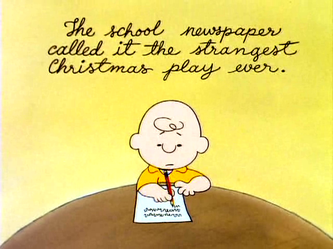 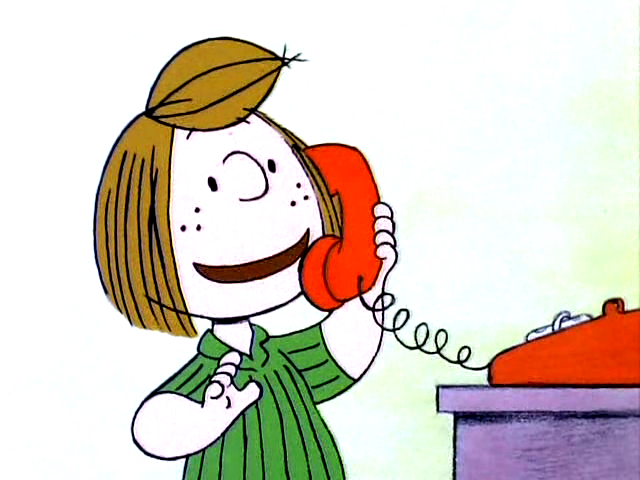 Peppermint Patty told Charlie Brown that she might be visiting, and that she would surprise him with a Christmas card, which made him happy. She then changed her mind because she told him, and it wasn't a surprise anymore. 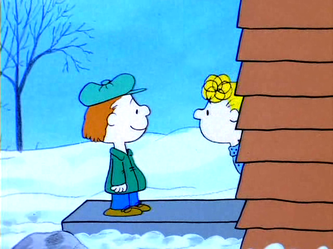 Sally wrote to Santa, and she suddenly heard noises on the roof and thought it was him. 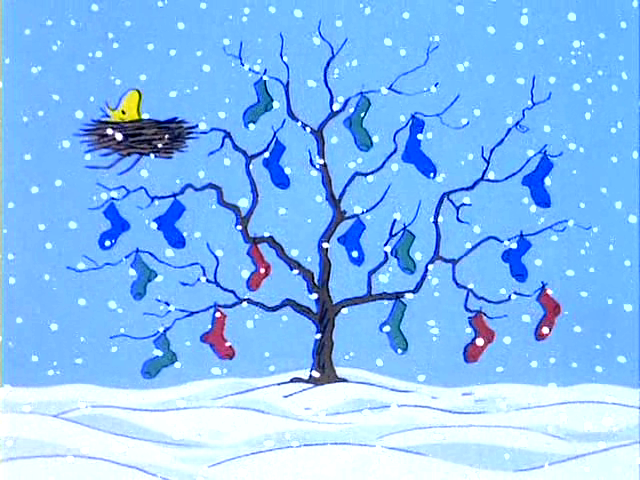 Woodstock informed Snoopy that Santa was coming, so they hung up stockings. Then, Lucy was put in charge of the Christmas play, so naturally, she bossed everyone around. 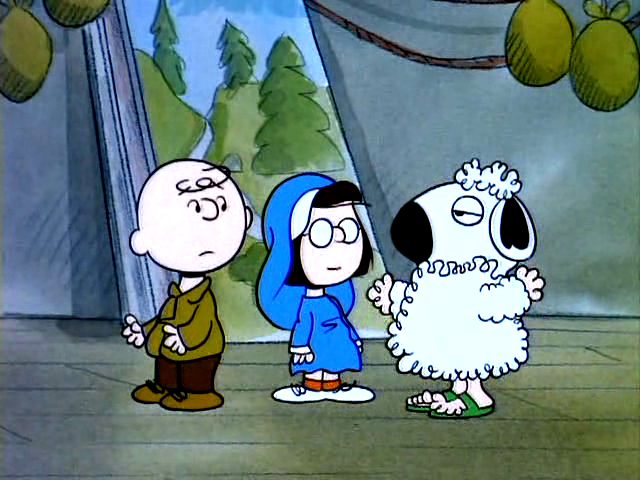 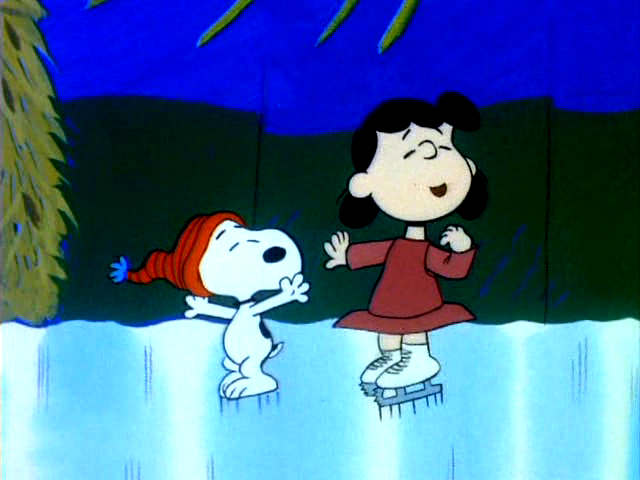 She told Linus he would be singing, Charlie Brown would have to raise money for the play, Snoopy would skate with her as her partner, and Marcie would play Mary and Peppermint Patty would play a sheep (sound familiar?). 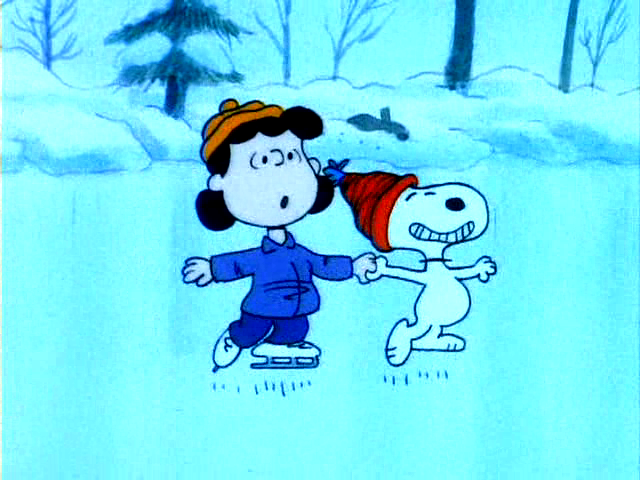 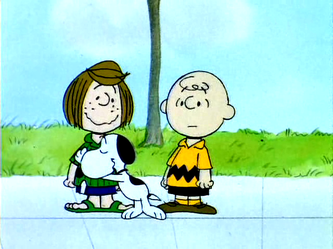 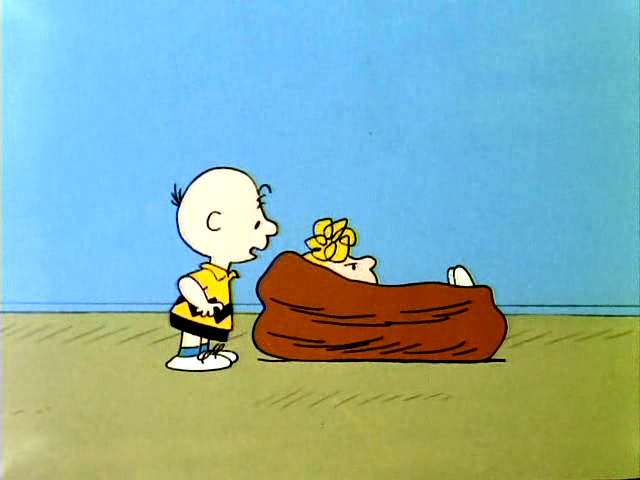 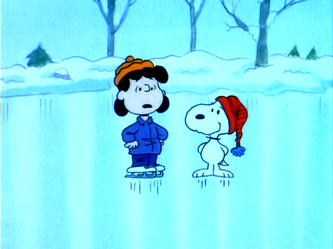 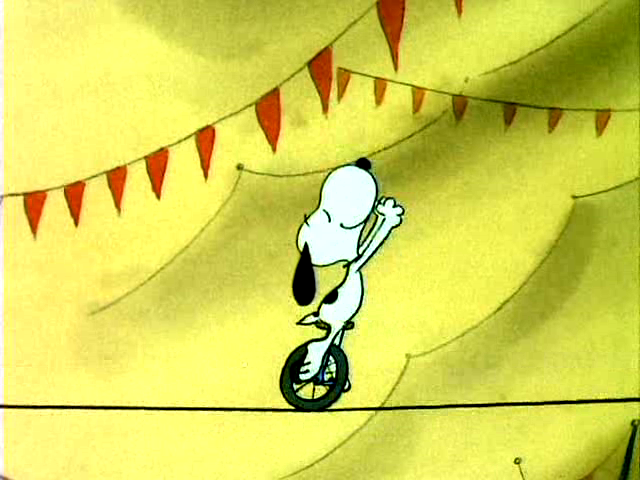 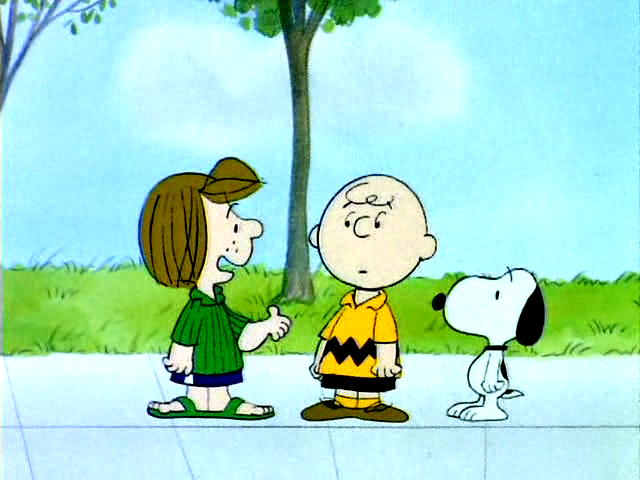 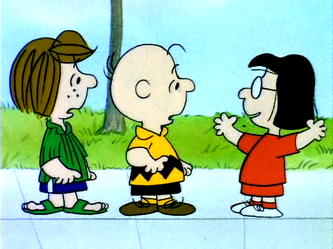 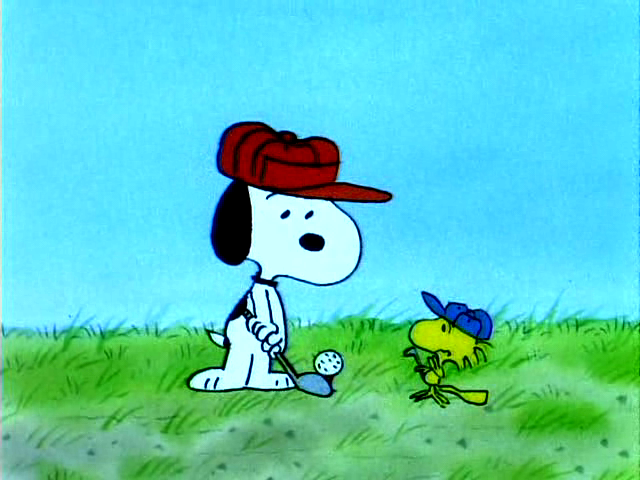 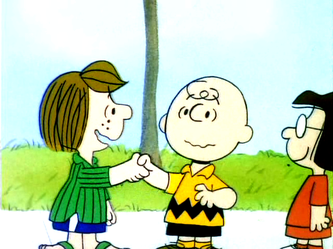 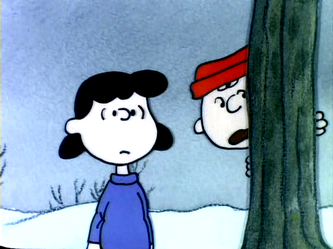 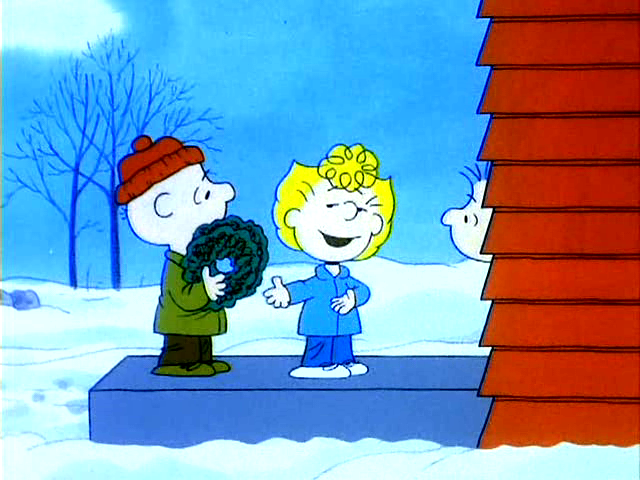 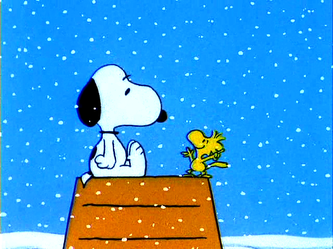 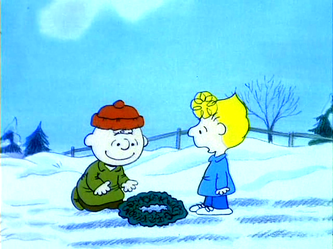 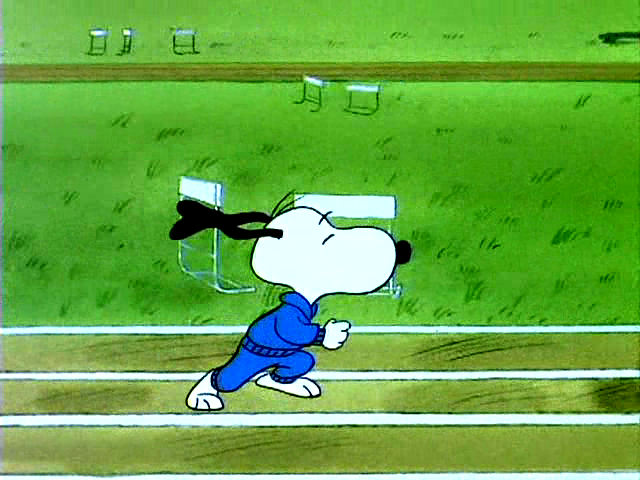 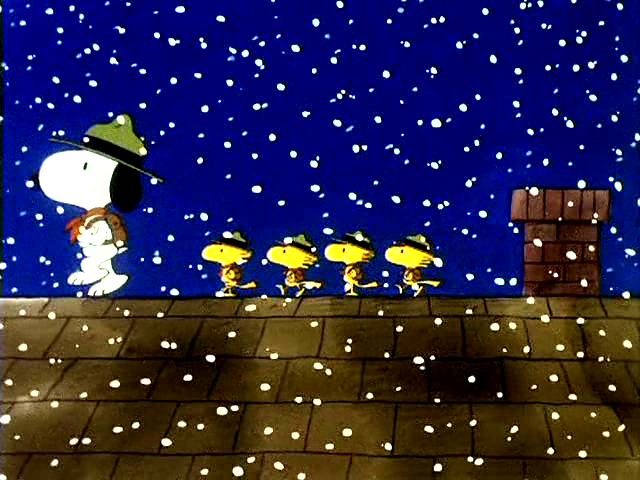 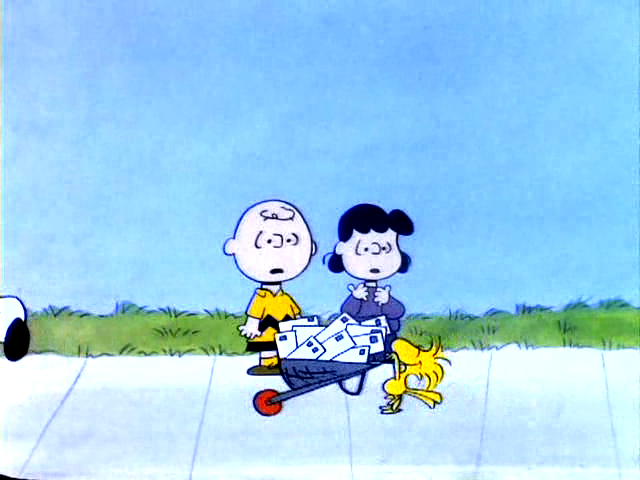 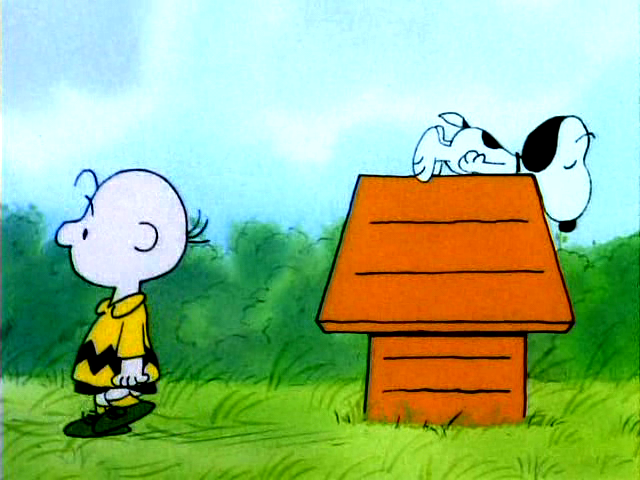 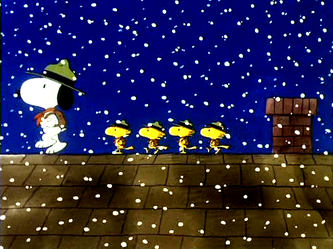 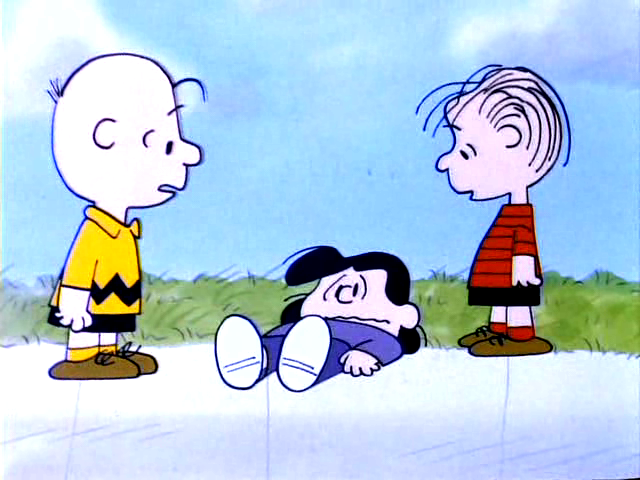 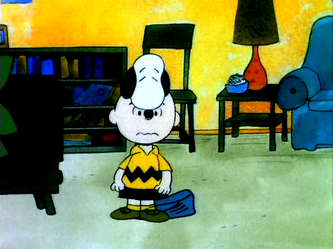 Charlie Brown sold wreaths door to door (even more familiar), and Snoopy skated with Lucy. Finally, the might of the play came. 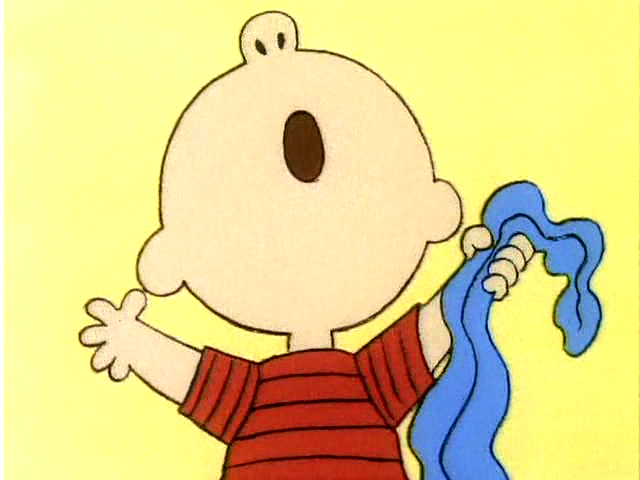 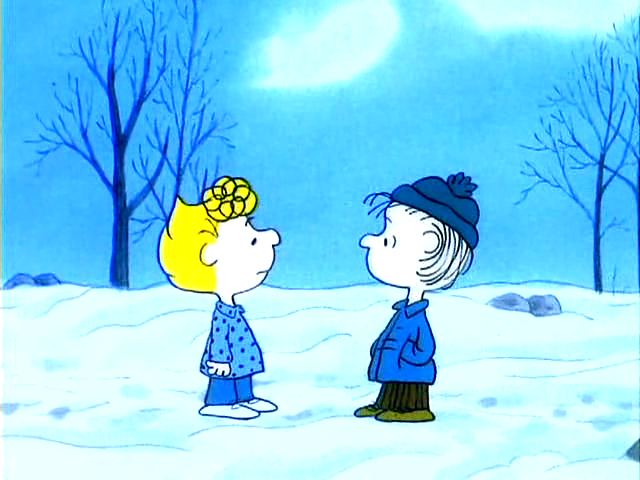 Linus was dragged onstage to sing, Sally had to say her line, which ended up being, "Hockey stick!" 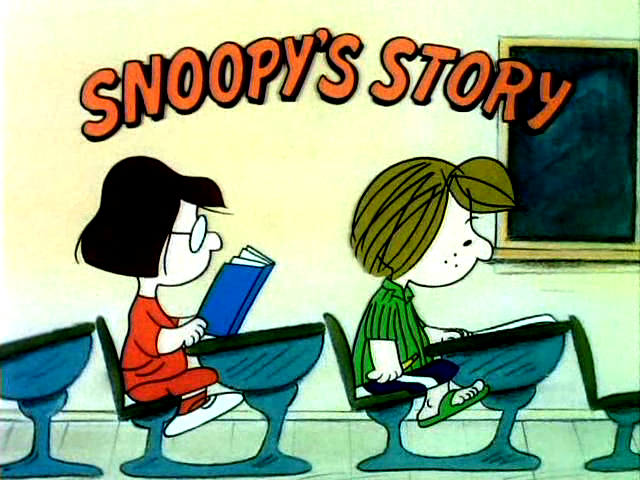 (Recycled story, anyone?) and Linus sang horribly. Afterwards, Sally answered the door, and there stood Harold Angel. 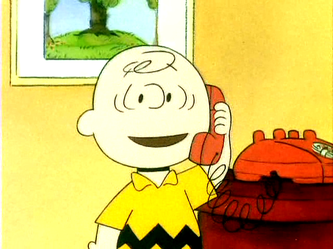 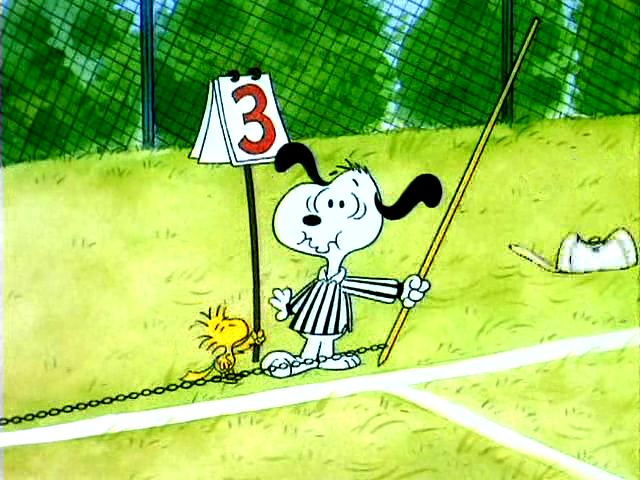 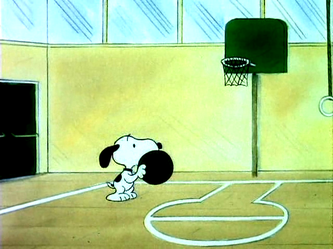 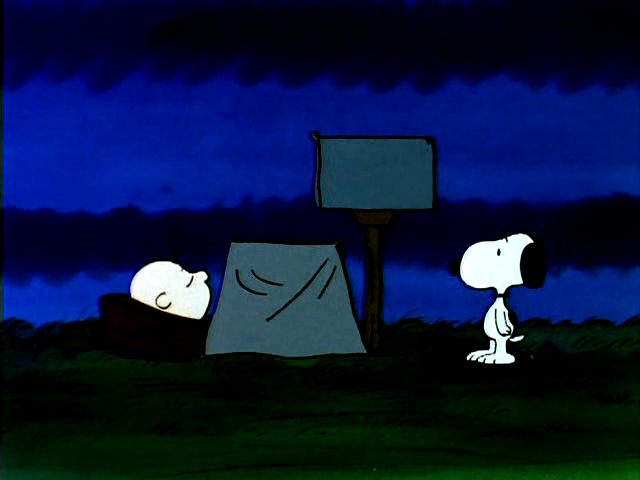 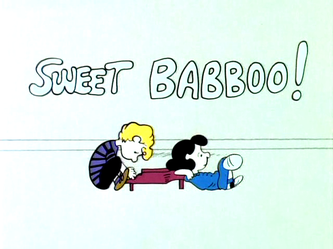 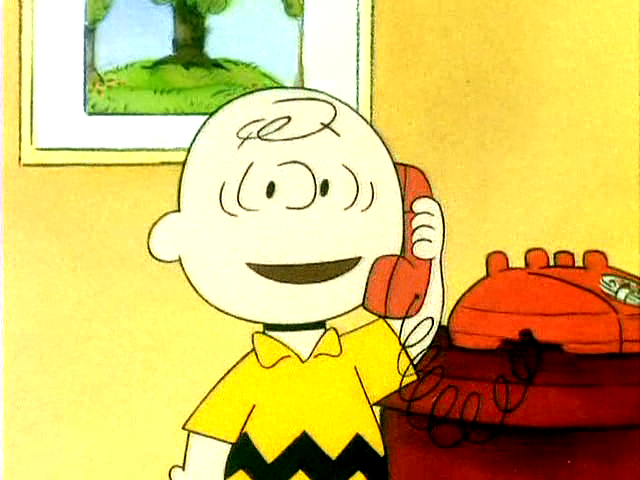 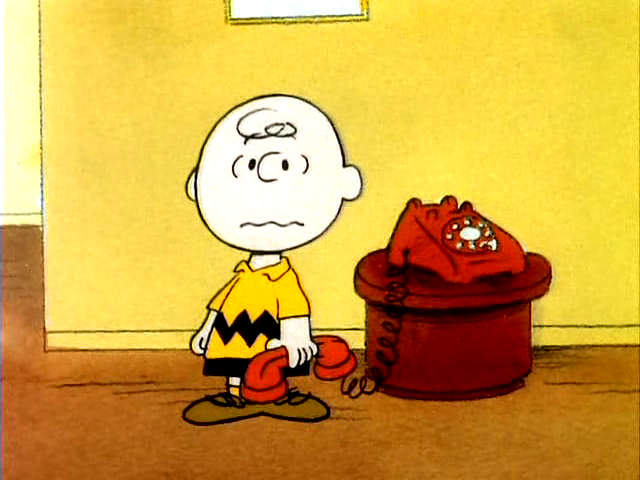 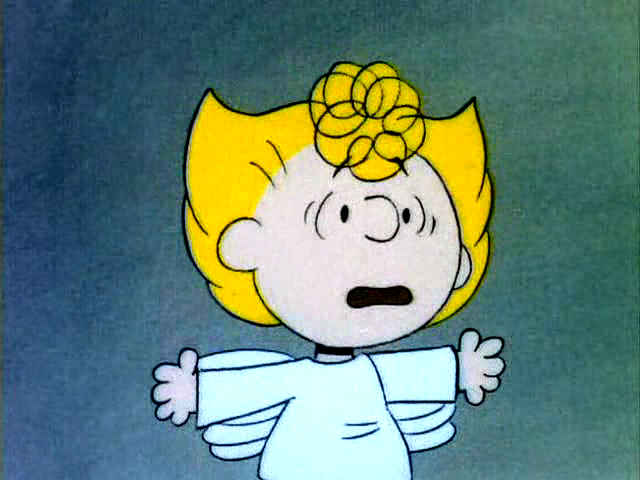 Sweet Babboo - Be forewarned, this animation is absolutely the worst I have ever seen for a Peanuts show. 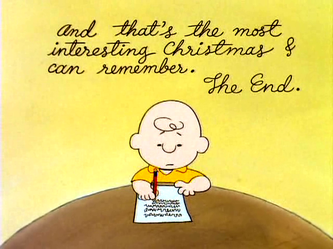 I think it was because it was part of the last episode, and some of the animators just didn't care about it anymore. 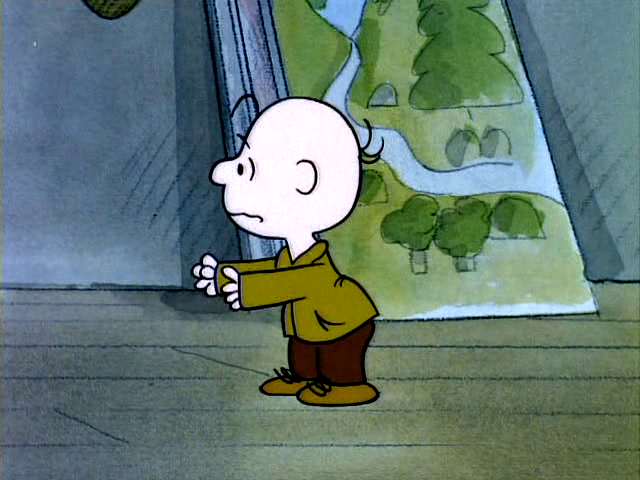 I mean, if you watched it, you'd think it was early Flash Player animation. 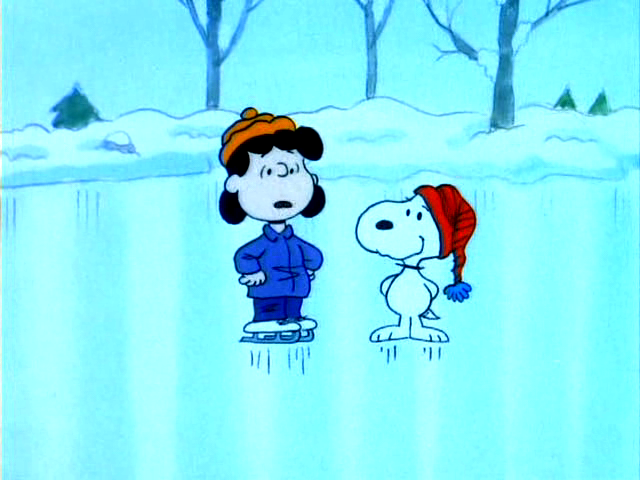 It's that bad. 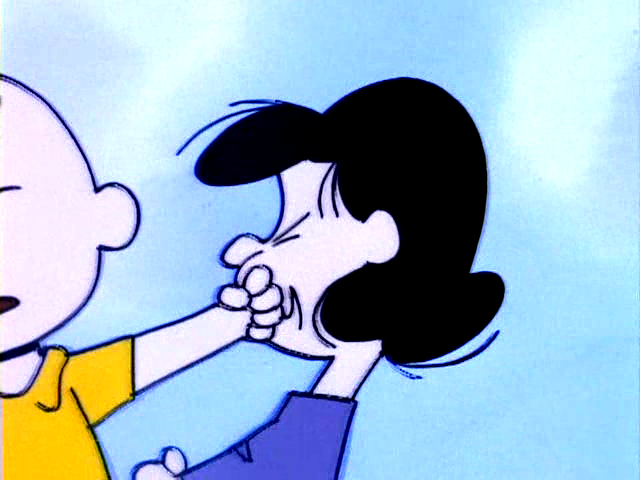 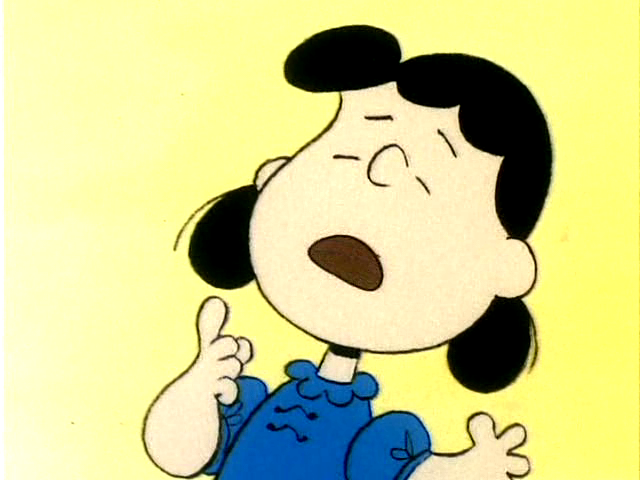 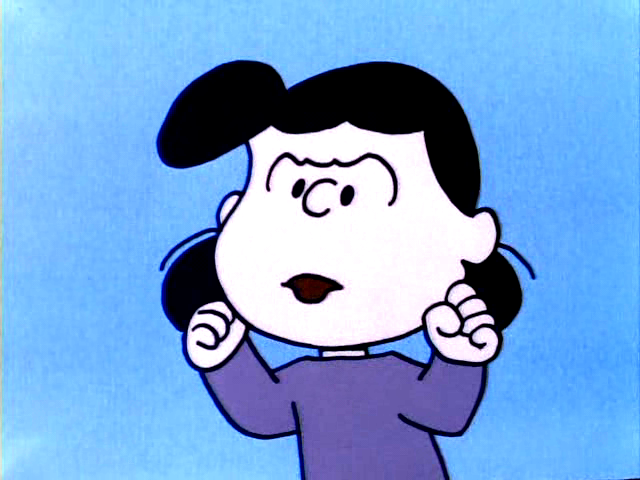 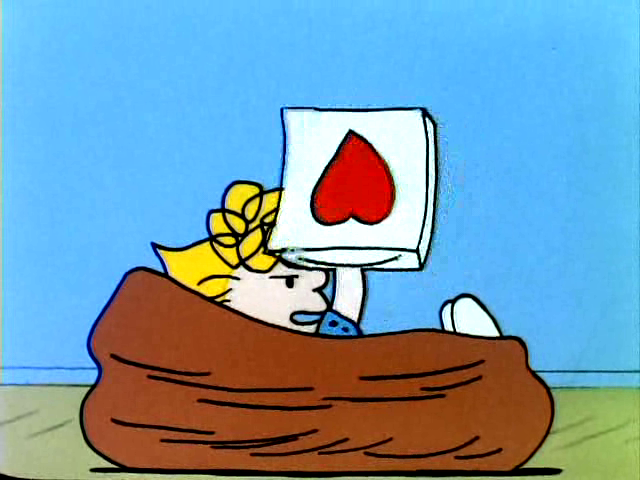 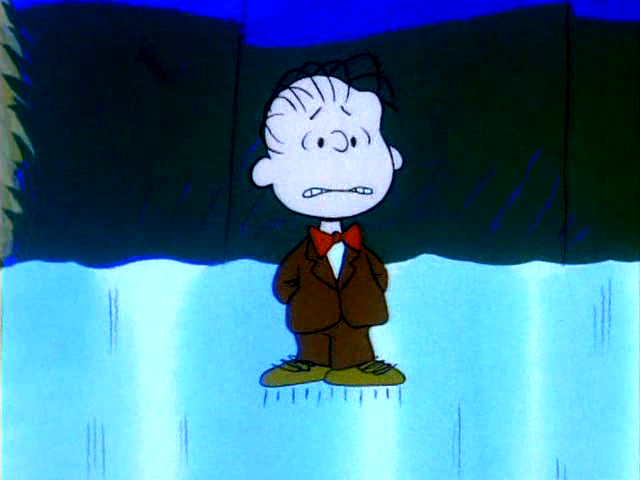 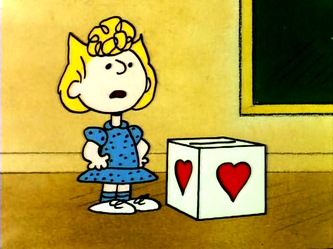 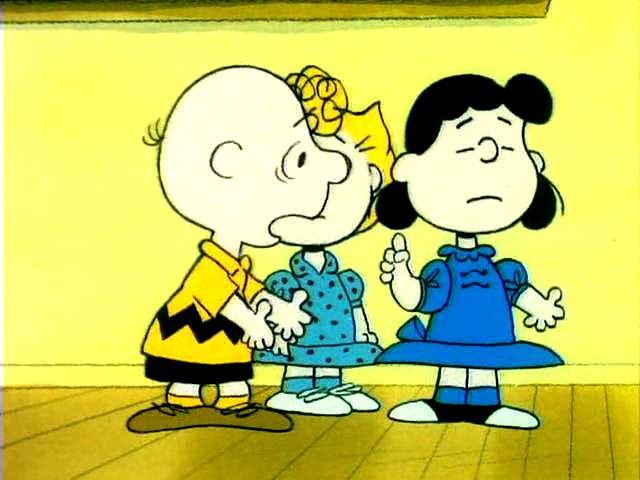 Anyway, Lucy gets mad at Schroeder and kicks his piano. 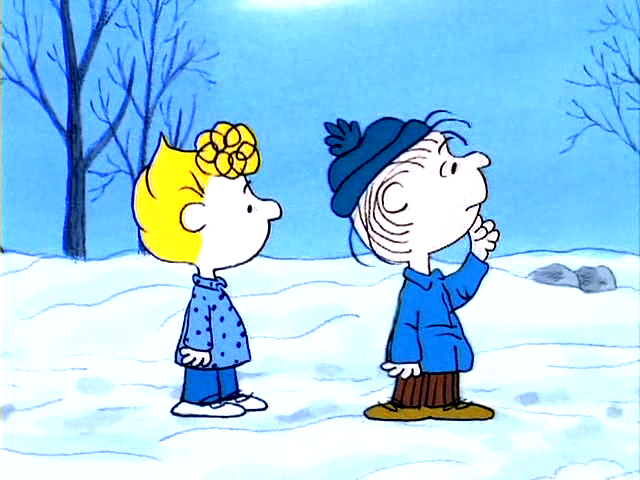 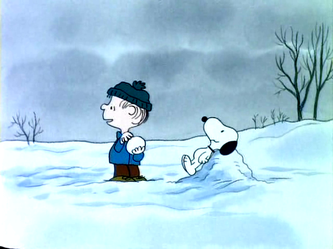 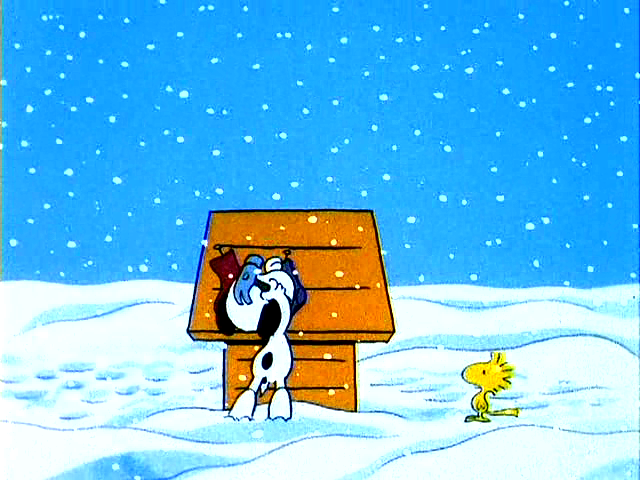 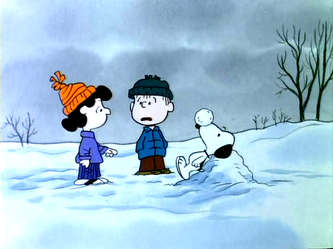 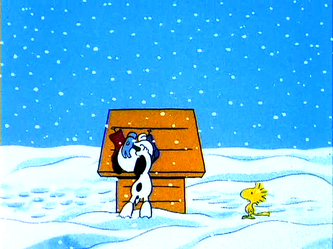 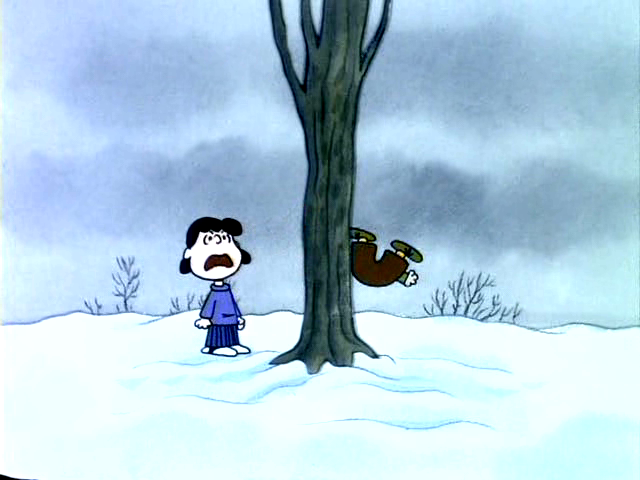 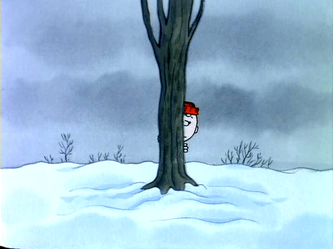 Then, Linus sets up a snowball launcher using Snoopy's nose, and hits Lucy with a snowball. 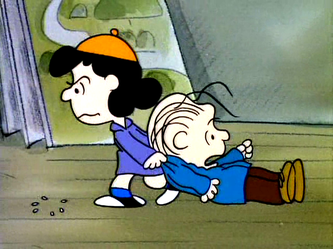 She chases him, but gets tired. 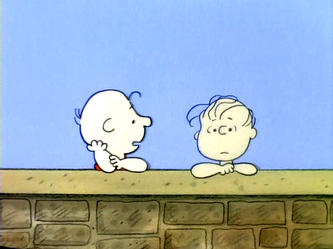 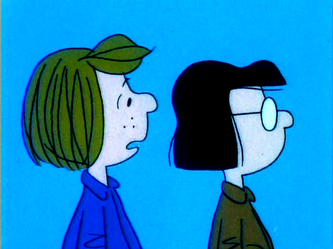 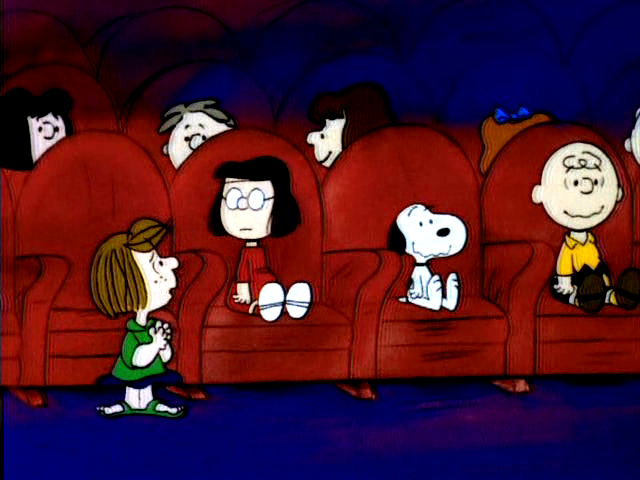 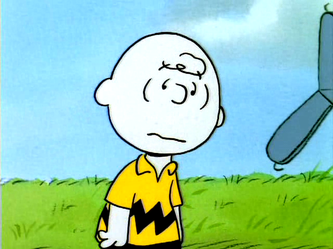 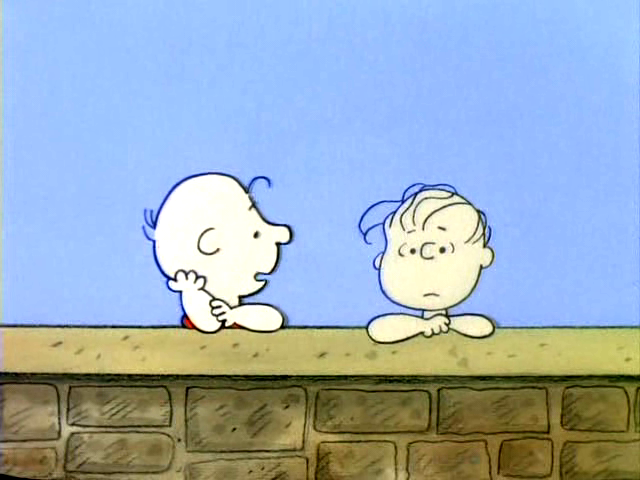 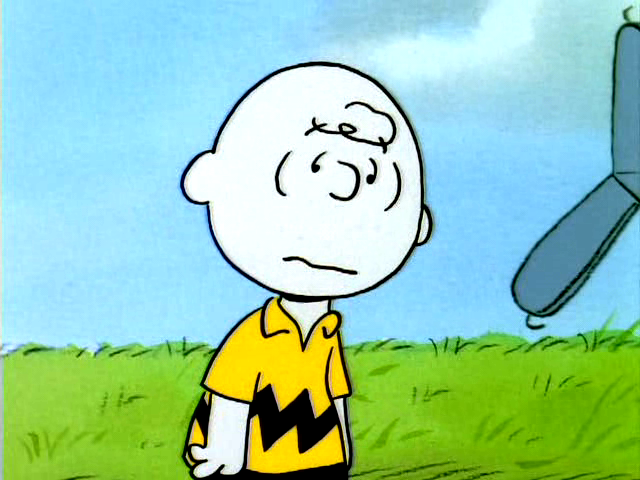 Suddenly, she sees Charlie Brown looking at the red-haired girl again. 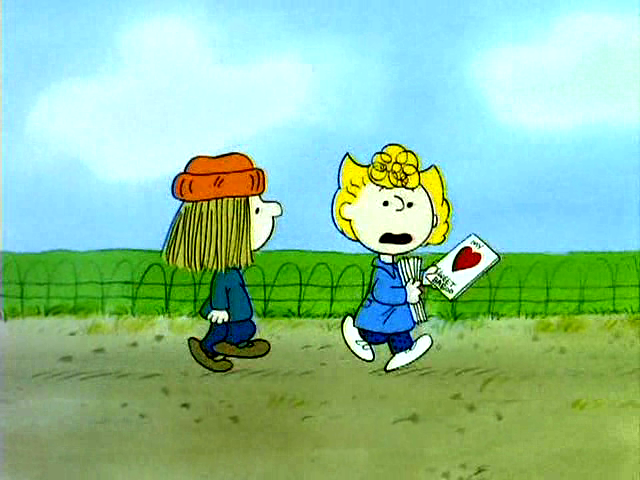 She yells to the girl, saying, "Your lover's out here!" 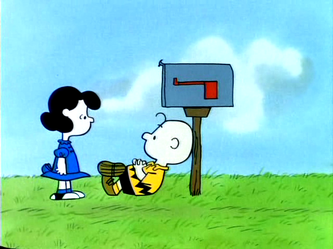 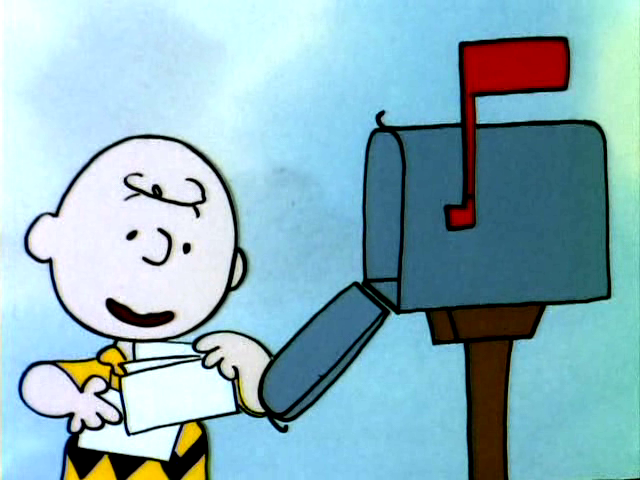 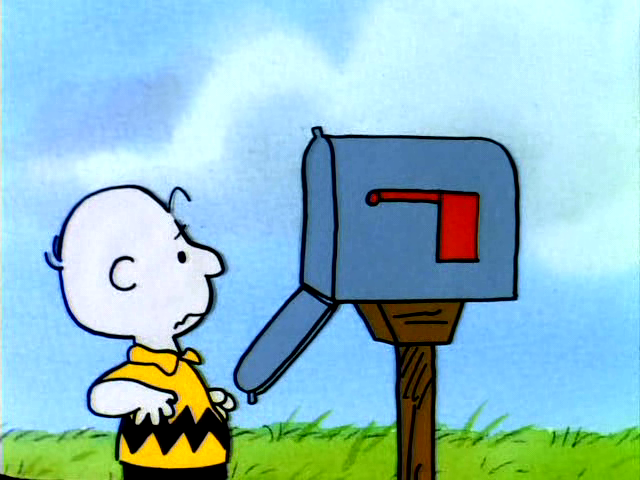 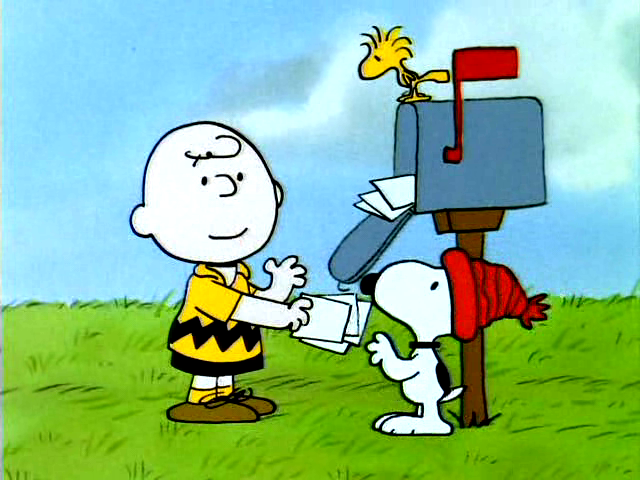 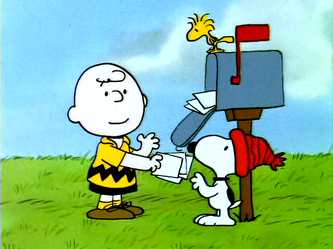 Charlie Brown waits for a valentine at the mailbox, and Snoopy and Woodstock decide to join him. 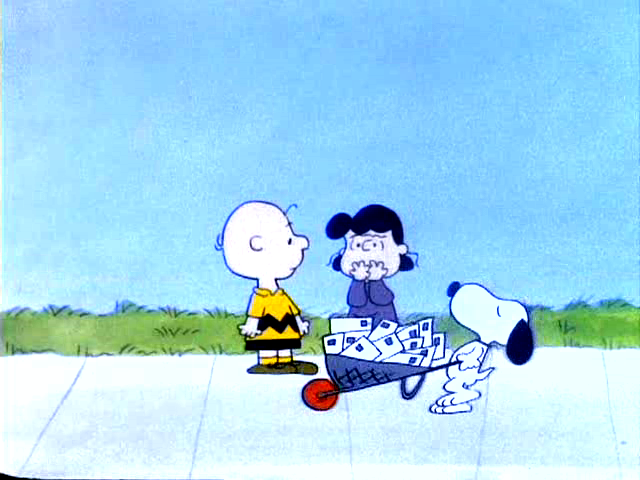 The next day, they get some, but not him. 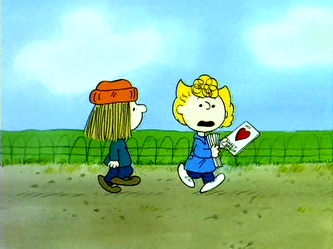 Sally makes a card for Linus, but when she gets it to school, he avoids taking it by telling her he went home. 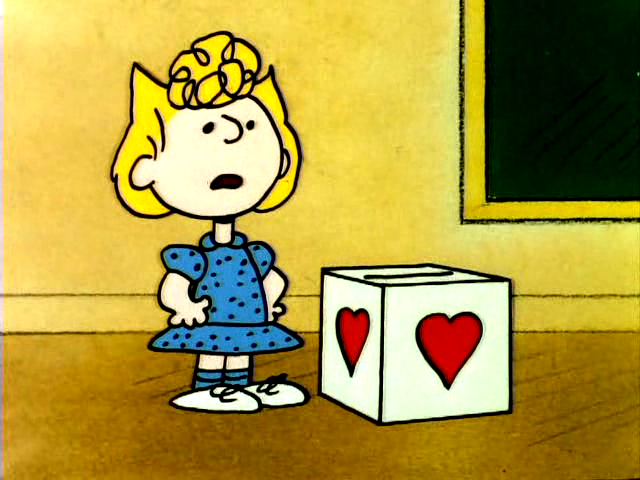 She then reaches in the box for some chocolates that she thinks she sees, and gets her hand stuck. The next morning, Charlie Brown talks to Linus, and Linus offers him a shot to his face, so Charlie Brown holds his fist out. 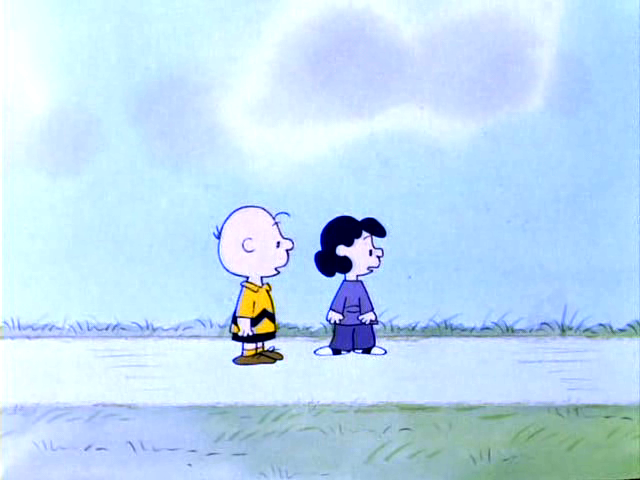 Lucy, not looking where she's going, walks into it. 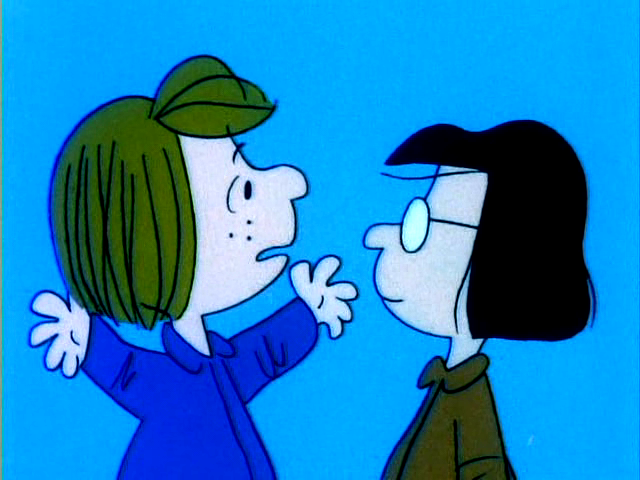 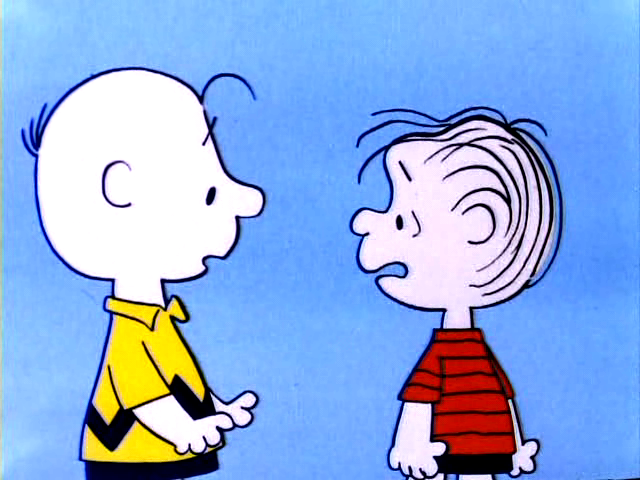 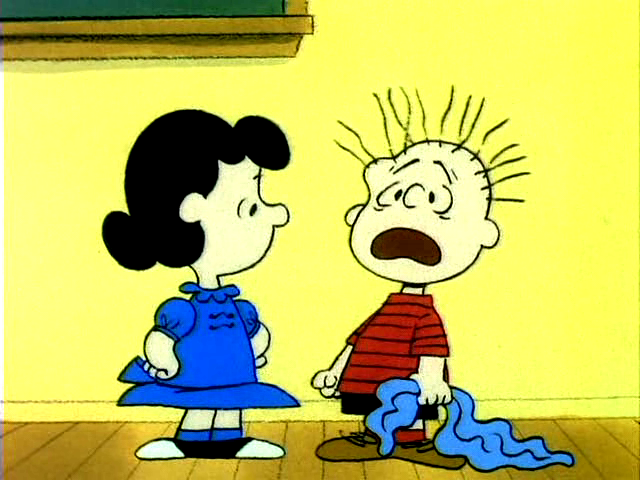 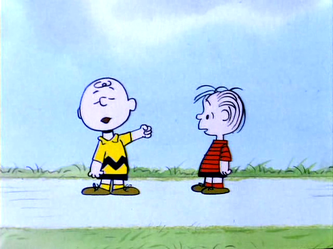 They argue, and Linus and Sally argue back and forth off-screen. Finally, Snoopy and Woodstock walk by with their valentines. Snoopy's Story - Peppermint Patty decides to write a story about Snoopy and all of the things he can do. 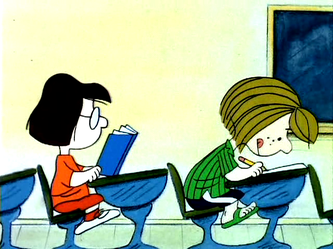 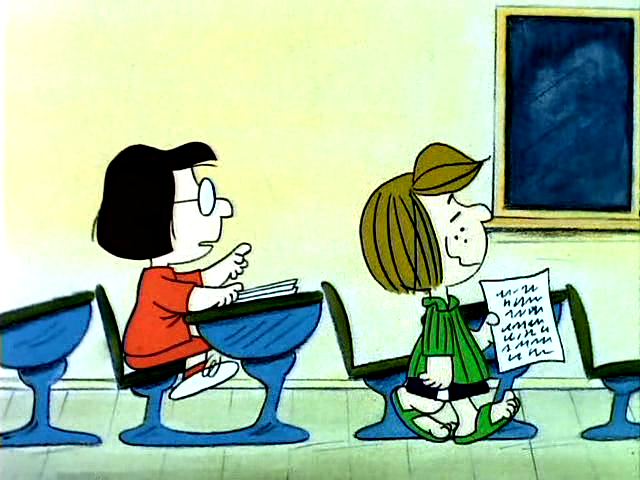 Marcie keeps warning her not to do it, because the teacher won't believe her. 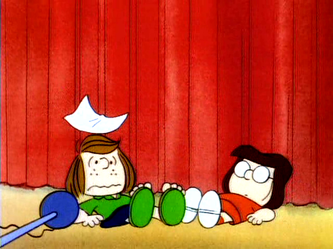 She ignores Marcie and keeps wiring. The teacher liked her story so much that she entered it in an essay contest, and it won! 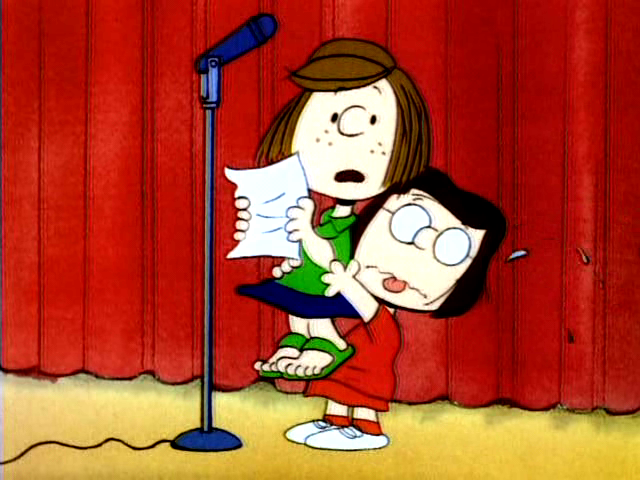 Patty had to appear to receive an award for it, but when she got up to speak, the microphone was too high, so she had Marcie hold her up, which didn't last long, so they mentioned the report in class, after being patched up, of course. 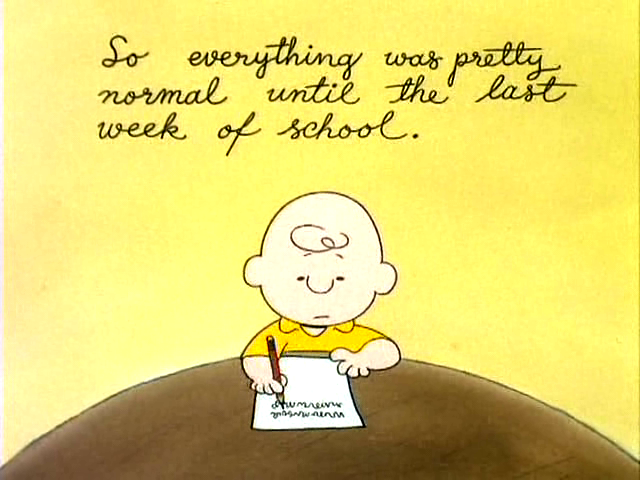 Well, that's it! I hope you enjoyed the CB & Snoopy show summaries. 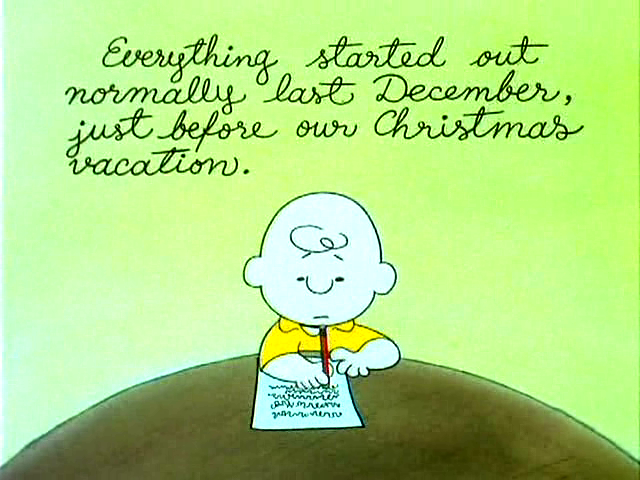 That's the whole series. 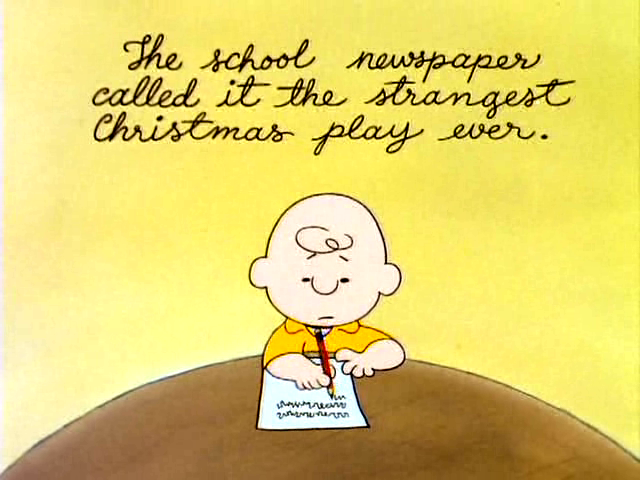 It's too bad a lot of the stories were recycled from the specials. 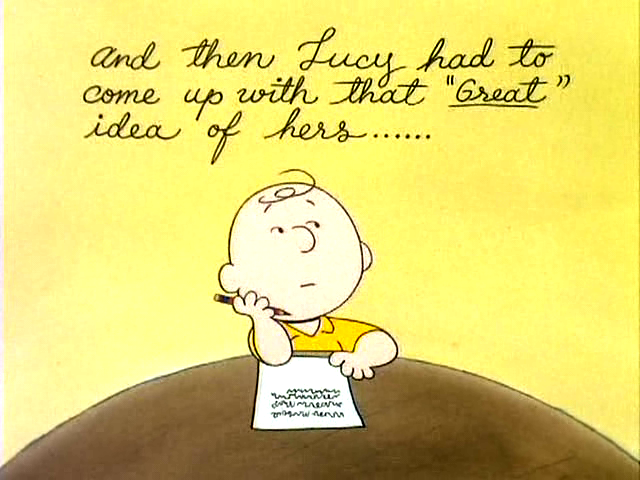 There were tons of stories in the strips, they could have picked different ones. Oh, well. 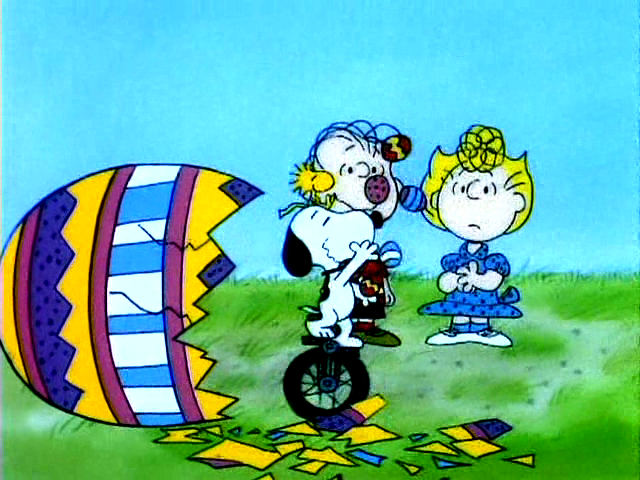 They were entertaining, anyway. The animation in some of the episodes needed improvement, too. 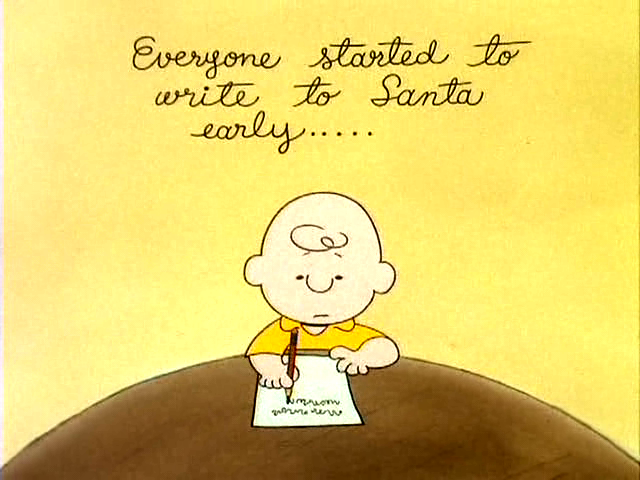 Some of them looked rushed. 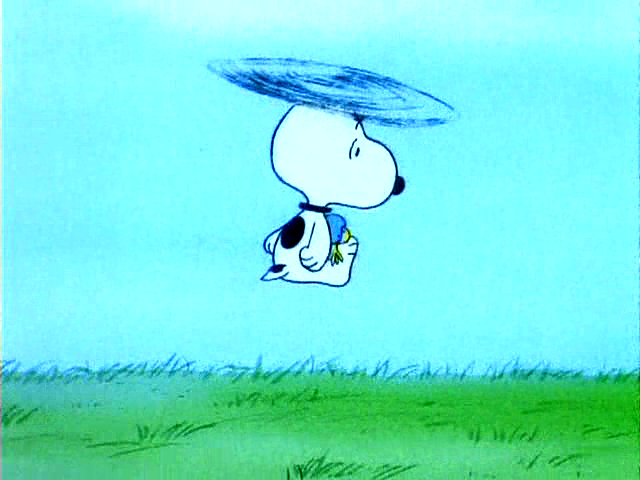 Or perhaps they had diifferent animators sometimes. 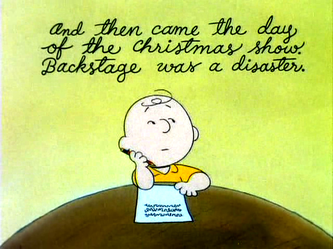 But, overall, it was a pretty good show, if you can overlook the repeated stories.